AAC is one of the most commonly-supported Bluetooth codecs in the wireless headphone and speaker markets. It’s also the default audio compression codec used by Apple’s iTunes and YouTube, and is supported across both iPhone and Android smartphones. Active Noise Cancellation (ANC) is a technology devised by iFi for reducing unwanted sound by the addition of a second sound wave specifically designed to cancel out the first. Active speakers have an in-built power amplifier and just need a power cable (or battery) to operate. Passive speakers require an external power amplifier to operate. In short, you need an amplifier for passive speakers, you don't with active speakers. Apple AirPlay is found on all Apple devices. It lets you share videos, photos, music, and more from Apple devices to your Apple TV, favorite speakers, and some smart TVs. For cost and convenience, modern DAC chips have a built-in digital volume control. The drawback is that a digital volume control works by 'truncating' the signal. Or 'chopping Bits' of resolution. For a 16-Bit music file at 50% volume level means the listener is actually listening to 14.5-Bits! 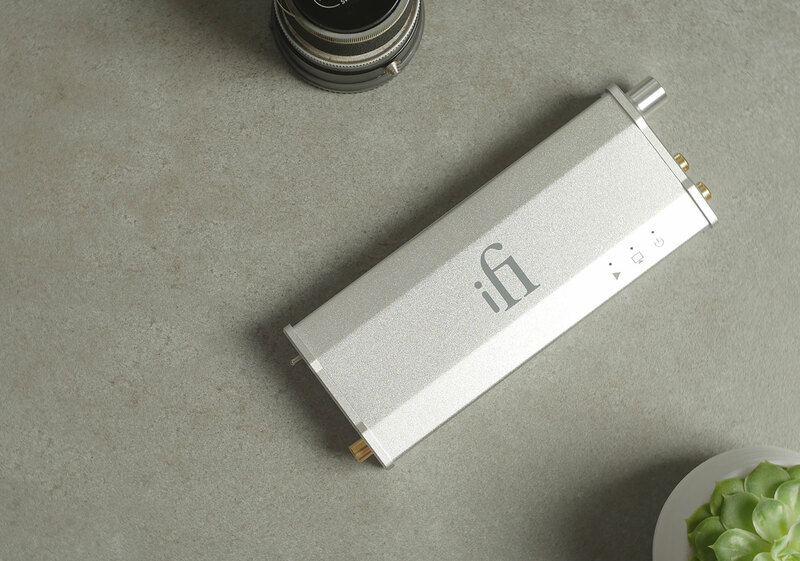 All iFi products bypass the digital volume control and use a separate analogue volume control which does not 'lose Bits' so a 16-Bit file stays unchanged which delivers maximum resolution. Losing Bits of resolution (quality) is like having missing pixels on a computer or TV screen. So, why don't we provide these two cables with our products? The Apple CCK cable can only be purchased from Apple. We can't make one ourselves as it has a special chip in the cable that we'd need to use for them to actually work with Apple hardware. Sadly, Apple has not released this chip to anyone. We can and do make two versions of an Android OTG cable - Type C and micro. aptX Bluetooth transmission is found in most Android phones, media players, Apple computers (macOS on iMacs and MacBooks) and on higher-quality Bluetooth headphones. It is not available on iOS (iPhones and iPads use Advanced Audio Codec). aptX™ Low Latency audio ensures your Bluetooth® wireless enabled device can deliver sound in sync with visual media. It reduces delay and improves end-to-end speed of the audio transmission, resulting in a high-quality, synchronised user experience. With aptX™ Low Latency you can enjoy the freedom of wireless for applications such as gaming and watching videos. A balanced cable has the same left + and right +. But it has a separate left - and right -. With totally separate wiring 'crosstalk' is negligible. Therefore, a balanced connection is the superior headphone wiring configuration. If a file is "Bit Perfect' it means it has stayed the same. For example, if a PCM file is played through a DAC to improve the sound quality and the DAC does not change the file format. The file is 'Bit Perfect'. A CD transport concentrates on reading the information held on a compact disc without expending effort in turning that digital signal into an analogue output, unlike a CD player. All you need to do is add an external DAC. A class-D amplifier or switching amplifier is an electronic amplifier in which the amplifying devices operate as electronic switches, and not as linear gain devices as in other amplifiers. 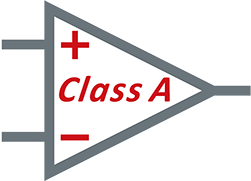 Just like SMPS (Switch Mode Power Supplies), standard Class D amplifiers have an inherent noise issue due to their 'switching' nature. The common noise filter cuts out most noise gremlins found in typical audio systems such as RFI/EMI. DACs convert digital information, stored or streamed by computers, into music we can hear through speakers or headphones. Every device that's a source of digital sound has a built-in DAC (TVs, games consoles, CD players, phones, portable music players etc). 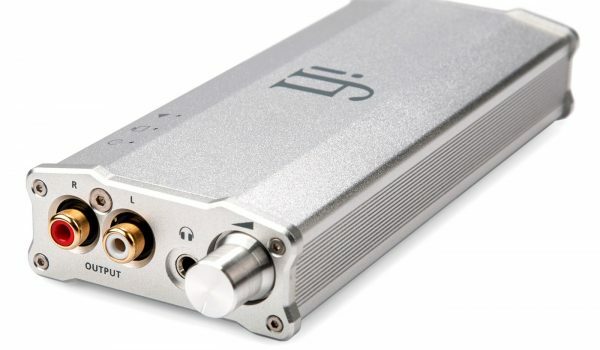 Dedicated external DACs sound much better than standard DACs used in digital devices such as phones. A DAP is a device like an iPod or an MP3 player that stores and/or plays back music digitally. A digital audio workstation (DAW) is an electronic device or application used for recording, editing and producing audio files. It's basically a mixing desk. DC offset is a naturally occurring phenomenon of the electrical system. It is a potential source of clicks, distortion and loss of audio volume. DSD is a very high-quality digital audio format that's even better than CD quality. The higher the 'DSD rate' – DSD64, 128, 256, 512 and 1024 - the greater the amount of music information available, which means better sound quality. Files can be remastered to higher file rates to improve sound quality. The pinnacle of this is DSD1024. Not many machines out there are capable of this feat. Digital signal processing (DSP) is the use of digital processing, such as by computers or more specialized digital signal processors, to perform a wide variety of signal processing operations. When it comes to audio the overuse of DSP can result in an over-compressed, unnatural sound. EMI is a type of interference caused by errant and unwanted electromagnetic waves that are received and amplified by an audio system. They cause some of the annoying 'audio gremlins' often talked about. This is basically a super tweeter. A speaker driver intended to produce ultra-high frequencies in a multi-driver loudspeaker system. 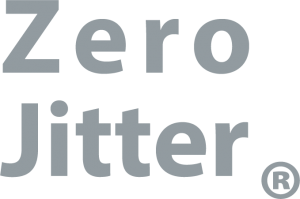 They are used to supplement the sound of tweeters by reproducing frequencies which the tweeter may produce only with a narrow polar output, or perhaps with distortion. MP3 – this is the most popular format, every device in the world can use it. 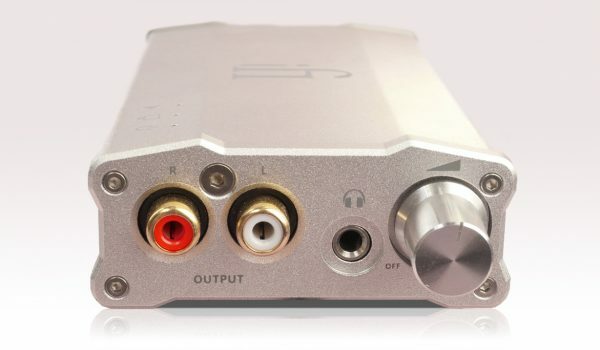 DSD – Direct Stream Digital is a very high quality audio format, better than CD quality. The higher the number (sample rate), the better the recording - DSD64, 128, 256, 512 and 1024. PCM - Pulse Code Modulation is the most common format for CDs and DVDs. DXD - Digital eXtreme Definition is a very high quality PCM format. 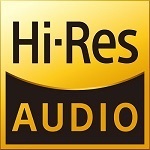 It was developed to edit hi-res (high quality) recordings recorded in DSD. Filters are used in music to alter the harmonic content of a signal, which changes its timbre or sound. Just as using a coloured filter on a camera lens will alter the look of the resulting photograph to set the right mood, filters work in a similar way in audio. Gain is the amount of increase in audio signal strength. Gain is often expressed in decibels (dB). Galvanic isolation is a design technique that separates electrical circuits to eliminate stray currents that contain noise. Signals can pass between galvanically isolated circuits, but stray currents, such as differences in ground potential or currents induced by AC power, do not pass. This means little or no noise interference to the audio signal from stray currents. In an electrical system, a Ground or Earth loop occurs when two points of an audio system both have a ground reference which causes a 'potential voltage difference' between them. Ground loops are a major cause of the noise, hum, and interference in audio, video, and computer systems. IEMs stands for In-Ear Monitors. 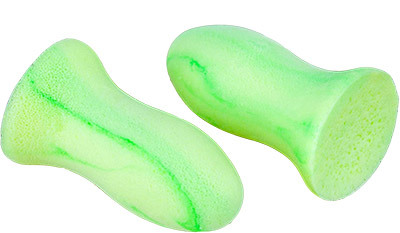 These fit inside your ear. You've been using them for years. You just called them something else. You will also see these referred to as earphones, ear buds and CIEMs. CIEMs are Custom In-Ear Monitors - IEMs made specifically to fit your ear shape. MQA is an award-winning British technology that delivers the sound of the original master recording. The master MQA file is fully authenticated and is small enough to stream or download. More here. Network-attached storage (NAS) is dedicated file storage that enables multiple users and client devices to retrieve data from centralized disk capacity. Users on a local area network (LAN) access the shared storage via a standard Ethernet connection. NAS devices typically do not have a keyboard or display and are configured and managed with an app. Native playback simply means that the file format has not been changed. You wanted to listen in PCM, you'll still be listening in PCM. The DAC does not change the format of the original file. Reference to the 1984 film Ghostbusters. Four guys, a girl and ghosts. And proton guns that would destroy the world if you crossed the streams. Watch this. Omotesandō is known as one of the foremost 'architectural showcase' streets in the world, featuring a multitude of fashion flagship stores within a short distance of each other. These include the Louis Vuitton store (Jun Aoki, 2002), Tod's (Toyo Ito, 2004), Dior (SANAA, 2004), Omotesandō Hills (Tadao Ando, 2005) and Gyre (MVRDV, 2007), amongst others. More here. A 'load' refers to a current drain that is applied to a battery. For example, charging the flash in a camera. 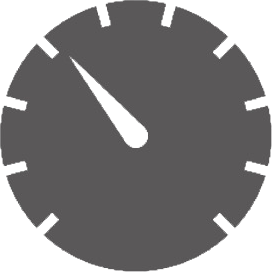 The term 'Pulse Load' indicates that the load is automatically applied for a specific period of time, then disconnected without user intervention. Shigeru Ban (坂 茂 Ban Shigeru, born 5 August 1957) is a Japanese architect, known for his innovative work with paper, particularly recycled cardboard tubes used to quickly and efficiently house disaster victims. He was profiled by Time magazine in their projection of 21st-century innovators in the field of architecture and design. Find out more here. A solid-state amplifier uses electronics such as diodes and transistors to amplify the music signal. A tube amp uses valves/vacuum tubes to do the same job. There is a noticeable sound difference between the two methods. Some feel that tube amps create a warmer, more musical tone. Some companies choose to build 'hybrid' models that combine the two methods. Imagine yourself in a small theater, 10 rows from the front, dead center, watching an orchestra perform on stage. Now close your eyes. This is the 'sound stage'. In audio speak, it is an imaginary 3D space created by the high-quality reproduction of sound in a stereo speaker system. In other words, the soundstage allows the listener to hear the placement of the orchestra vis-a-vis instruments when listening to a given piece of music. Spotify Premium allows you to listen better quality music. It's all about bitrates. The bitrate is the amount of data processed over a certain amount of time. The higher the bitrate, the better the quality. On normal Spotify you listen at 96kbps, the 'standard' bitrate on mobile or at 160kbps, 'standard quality' on desktop and 'high quality' on mobile. With Spotify Premium, you get 320kbps which is 'high quality' on desktop and 'extreme quality' on mobile. Basically, more bitrates for your buck. Tadao Ando (安藤 忠雄 Andō Tadao, born 13 September 1941) is a Japanese self-taught architect whose approach to architecture and landscape was categorized by architectural historian Francesco Dal Co as "critical regionalism". Tidal is a subscription-based audio streaming platform, similar to Apple Music and Spotify, but with lossless-quality audio. Tidal Masters is the section with the highest-fidelity music streamed including some files in partnership with MQA. Lossless-quality means that no music quality is lost in this format. 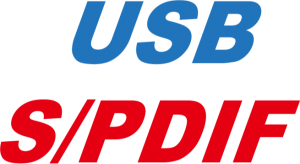 USB audio is a digital audio connection used to send digital music from your computer to a digital to analogue converter (DAC). Usually computer manufacturers spend most of the overall budget on the processors and screen, leaving minimal budget for the built-in DAC and audio outputs. In electronics, volumetric efficiency quantifies the performance of some electronic function per unit volume, usually in as small a space as possible. 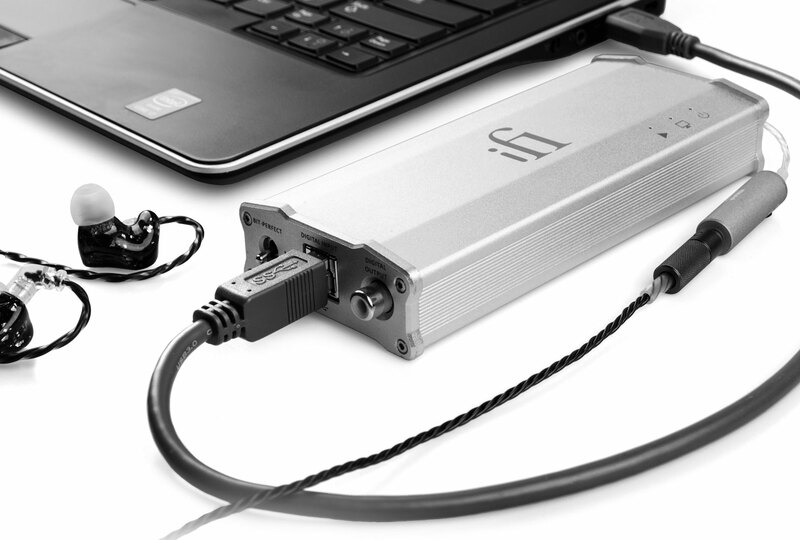 The micro iDAC2 is our home, desktop DAC and headphone amplifier. 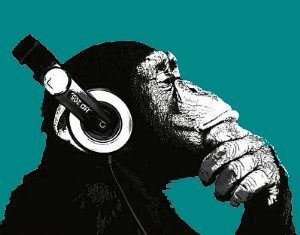 It will improve the sound of your music. Our iDAC2 fits perfectly into any home system. 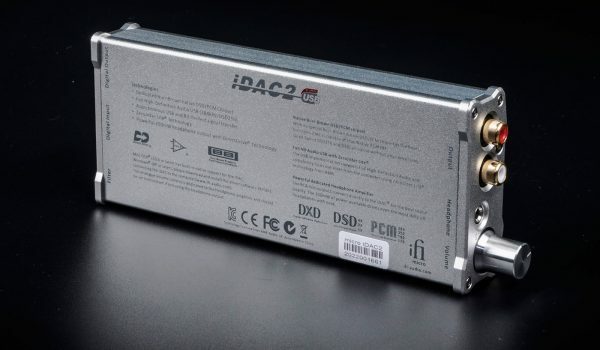 Whether you are a computer audio buff or prefer a big rig, the iDAC2 is the DAC for you. Is your heavy metal feeling a little lightweight? Your Jagger jaded? Or does your ambient lack atmosphere? Then we have the very thing. 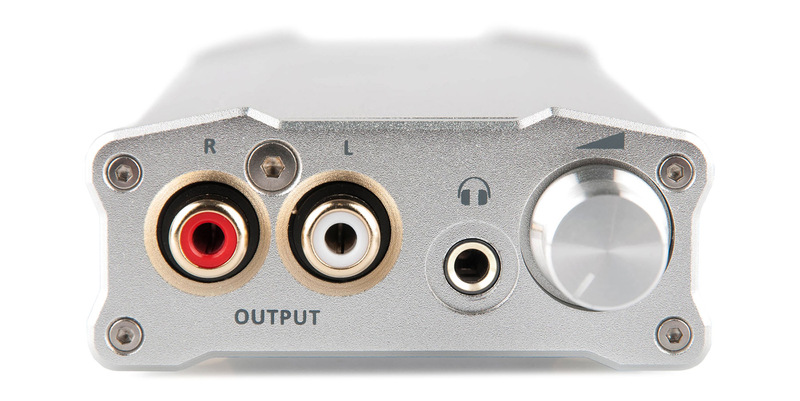 The micro iDAC2 is a precise, one box solution for people who like quality music – whatever the genre. 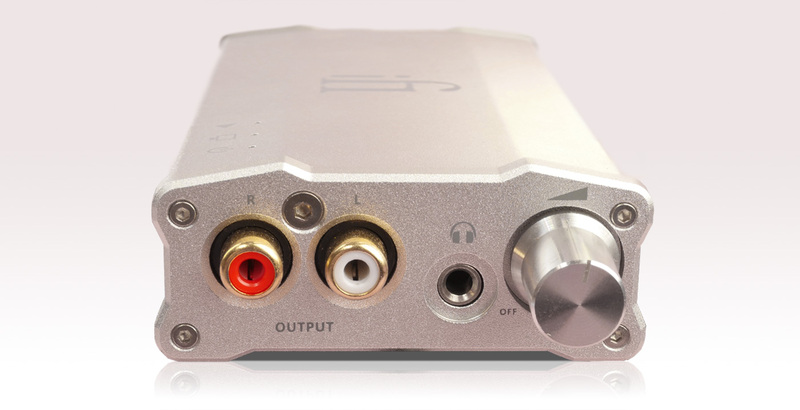 The micro iDAC2 plays high quality music files up to DSD256. File formats remain unchanged to deliver Bit Perfect playback. Plus it is MQA compatible out of the box via Tidal Masters on your computer. No need to upgrade for a long time to come. 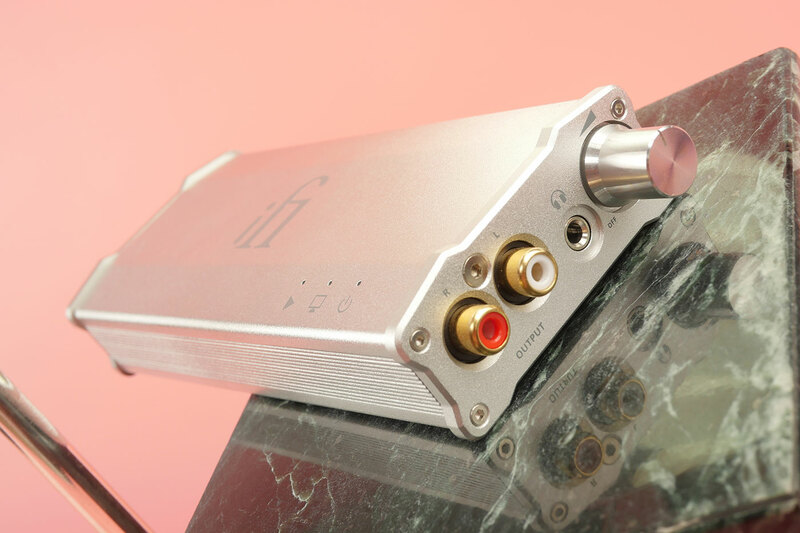 Whether you choose to use it as a DAC amp or purely as a solid-state DAC, it will not let you down. Connect via USB. You music will feel more natural, more textured, more alive. The soundstage the micro iDAC2 produces is vast, making your music sound as if it is coming from outside the width of your speakers or the confines of your headphones. Connect via RCA or 3.5mm respectively, close your eyes and enjoy the orchestra in your living room. 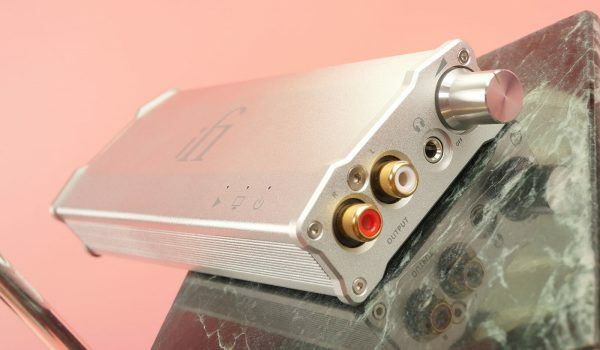 Couple the above with an ultra powerful dual-mono headphone amplifier – 2.4V/350mW, military grade Active Noise Cancellation, high-grade components and solid casing, well, there’s not much left to say. The micro iDAC2 puts the super into supersonic. Listen to Master Quality Authenticated audio straight out of the box. Connect to Tidal Masters and check the option to stream MQA. Our video tutorials on You Tube show you how. 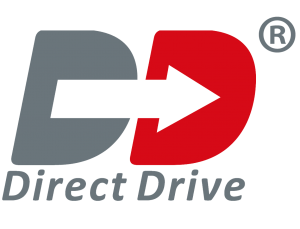 DirectDrive® equals a direct signal path which means less signal degradation. This direct signal path is unequalled in audio and is the reason why the sound is so ‘true’. 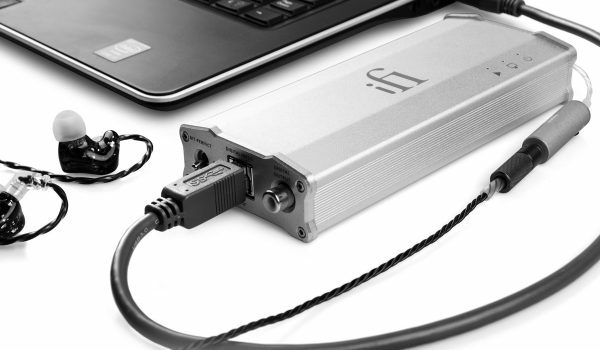 The Class A amplifier stage is a Ferrari - it runs fast and at its max potential at all times. It combines N-Channel J-Fet and a PNP bi-polar transistor for a warm, unsurpassed, natural sound. You can read more about it all here. 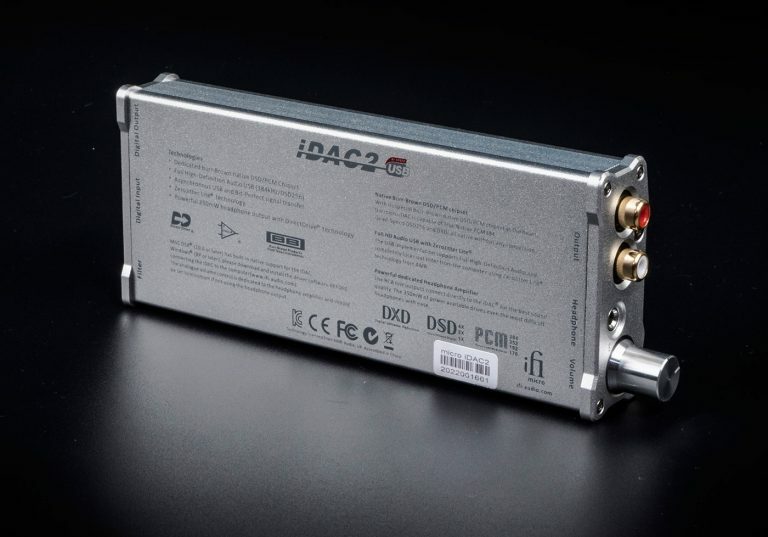 With an SPDIF output the micro iDAC2 is able to receive a USB signal and then convert and output a digital SPDIF signal to another device such as Sonos streamer or an A/V amplifier (with an onboard DAC). It is a chameleon amongst DACs. Quality components speak volumes. 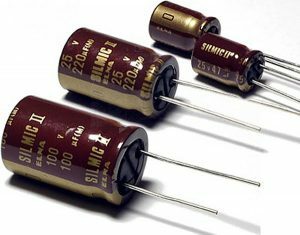 Reference class parts quality from Japanese Elna Silmics to Silver Mica capacitors. 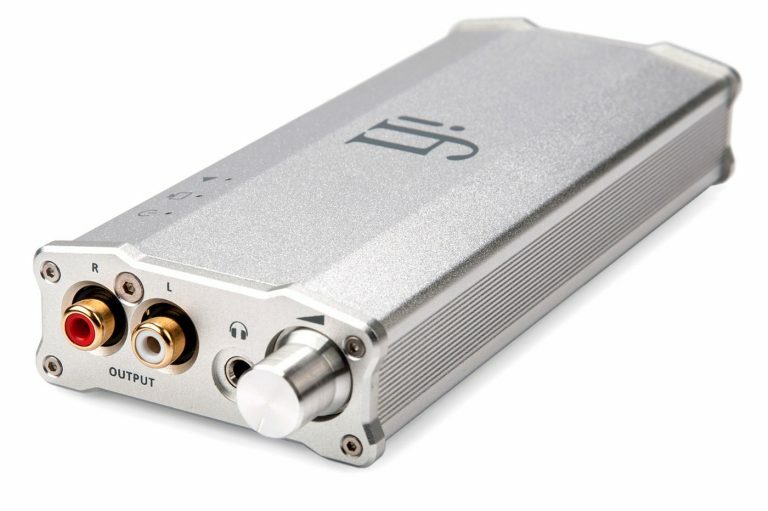 To quote Tina Turner, "Simply the best..."
Jitter can disrupt the signal and hamper music quality. Our technology REgenerates®, REclocks® and REbalances® the USB signal. This means the signal is as good as it can be. Noise and jitter are significantly reduced for smoother, cleaner playback. This precise, analogue volume control is normally found on items at a much higher price point. Its transparent sonic nature delivers a smooth sound with no loss in music retrieval. It delivers the sonic goods. Based on military technology originally used in aircraft, our Active Noise Cancellation® (ANC) generates a signal identical to the noise signal but in the exact opposite phase to actively cancel all incoming noise. Pros: Transparent neutral/cold signature, good sound, good value, plenty of outputs, nice soundstage, USB bus powered so no power cable or brick to carry around. 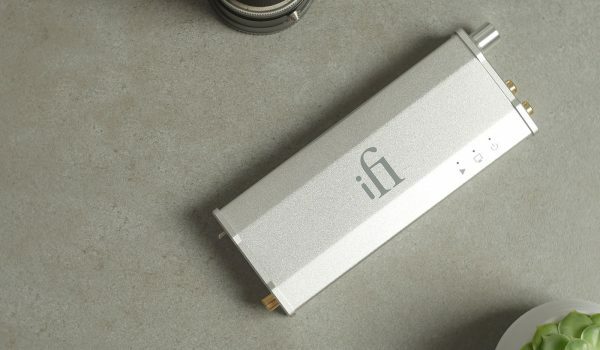 iFi will be back to reclaim its throne as a DAC and iFi really has a product that goes beyond the DACs…I like the iDAC2, which gives a lot of bass to find the amplifier…The highlight of this DAC is the dynamic, dimensional and soundstage…I personally give iFi iDAC2 the best price in this category. This iDAC2 is such a versatile device…First, a word on the iFi product line: I am impressed with a firm that makes intelligent engineering/design trade-offs and puts out an entire line fits together from a marketing planning (many complementary building blocks)…As a headphone amplifier, the iDAC2 is very good….iDAC2 up sampling differences: this is an area where the iDAC2’s versatility shines..iDAC2 is versatile as hell…and the synergies with iFi power add-on products are extreme…iDAC2 – and for that matter, all iFi products – performance/price ratio is off-the-charts. If you did not know already, iFi Audio is a co-brand of AMR Audio that is known for its famous audio gears such as DP-777. They produce many different audio components – digital audio converters, amplifications, speakers, cables and active noise cancellation units. On the iDAC2, there are coax/USB digital inputs and RCA/3.5mm outputs…Overall build quality is quite satisfactory and the volume potentiometer works well; there is no unbalanced problem. In addition, as a DAC/Amp combo, iDAC2 supports all popular formats including DSD 256, PCM 384 and DXD.